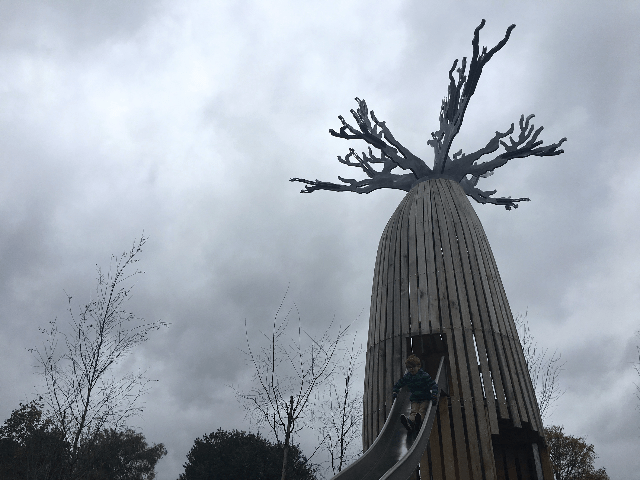 It’s been a few years since we last visited Chester Zoo and so much has changed in that time; they opened their new Islands attraction, they regularly hold fantastic seasonal events such as the lantern parade at Christmas and it is definitely one of the most popular attractions in the North West. 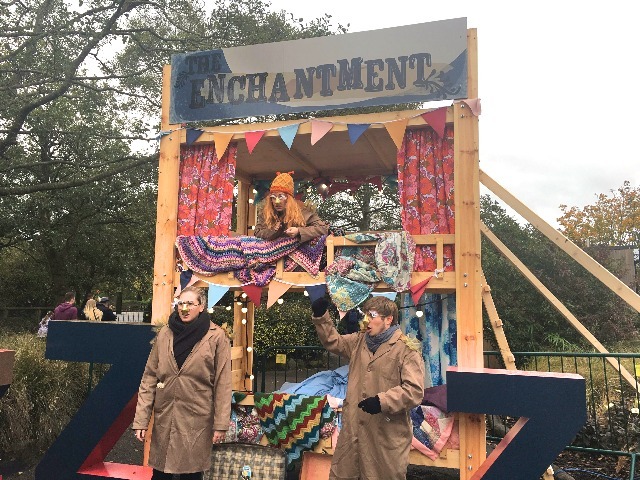 We were invited along to see The Enchantment of Chester Zoo – a spooky sorcerers spell that has been cast over the zoo making all the animals and staff fall asleep. It’s only on for one week so we were lucky enough to visit on the day it started! As soon as we entered we were greeted by three ‘owls’ who needed our help to break the spell. 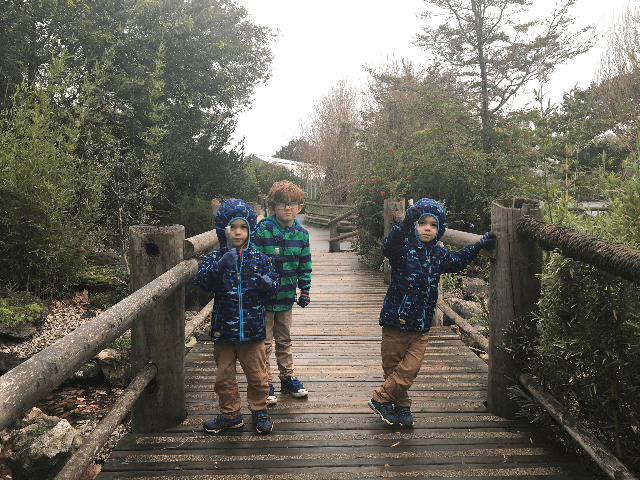 Each of the boys were given a vial and we had to collect the sand from some of the sleepy animals in the zoo then make it over to Owl HQ to break the spell. We worked our way around the zoo with our vials, visiting the sleepy animals and collecting facts about them as we went. 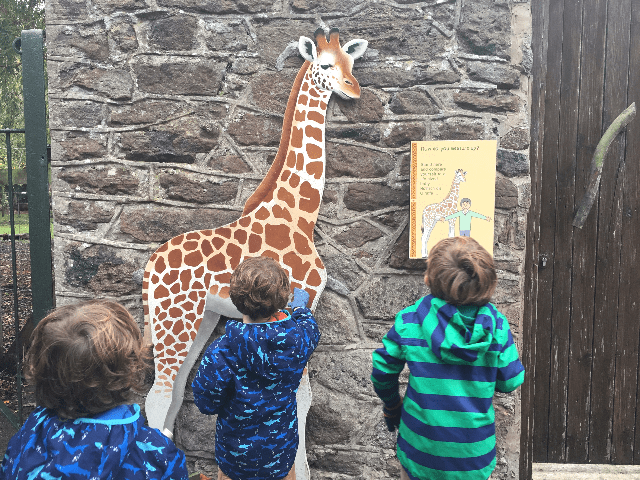 I loved that we learnt a little bit about each animal as we went around – did you know that giraffes sleep standing up? For my animal loving boys it made the visit extra special as they were taking in even more as we followed the trail. 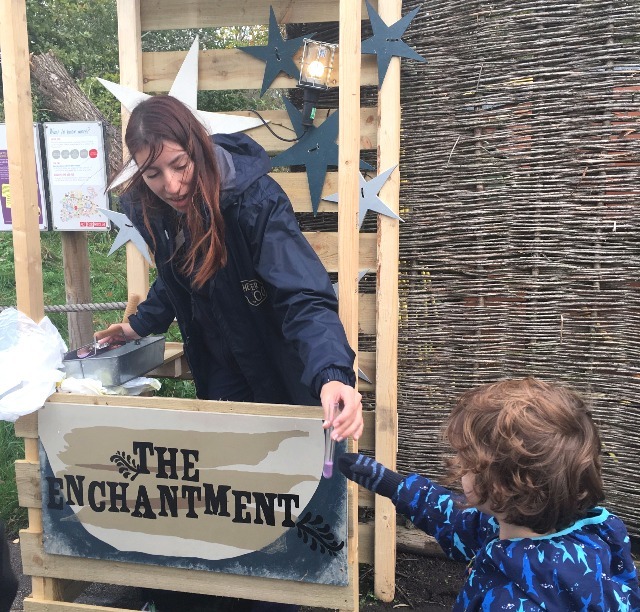 For each animal we had to visit there were performers dressed up and if we learnt a sleepy fact from them or helped them with a task we were able to fill up the vials with sand. Even though we didn’t have the best weather on the day it certainly didn’t dampen our spirits and everyone we came across still put in 100 percent and really were fantastic. 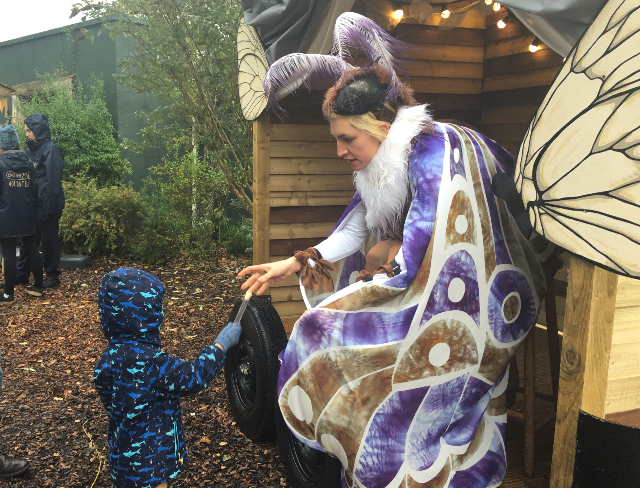 I was so impressed with how well they performed even in the rain and they engaged all the children that passed by – even the staff went above and beyond and made a real effort to speak to the children and get stuck into the performance. You’ll be pleased to hear that we made it round all the animals, filled our vials and ran to Owl HQ to break the enchantment! By the time we’d visited the Orangutans and helped them build their nest there was no stopping the boys who were chanting Owl HQ at us and clutching their map as they were so eager to help save their owl friends. 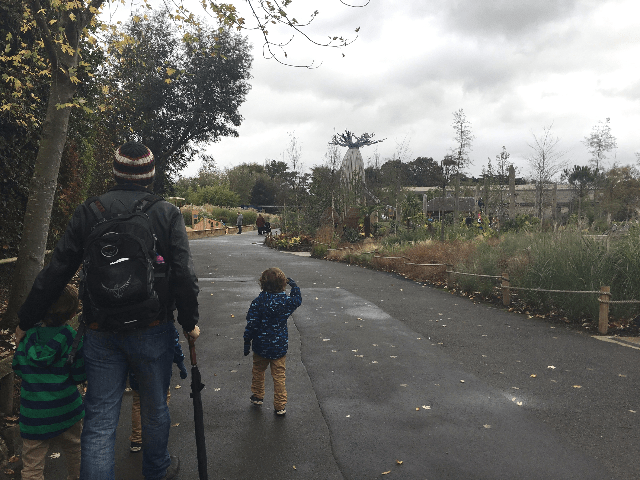 We absolutely love Chester Zoo anyway but when you’re visiting out of season this such a wonderful way to add more to the visit, in fact I’d choose this time to visit every year – we had the best day! Chester Zoo is constantly working on improving their animal environments (some areas are closed at the moment while they do just that), adding to the visitor experience by educating us all on animal welfare and conservation, and making it more than just a normal zoo visit. 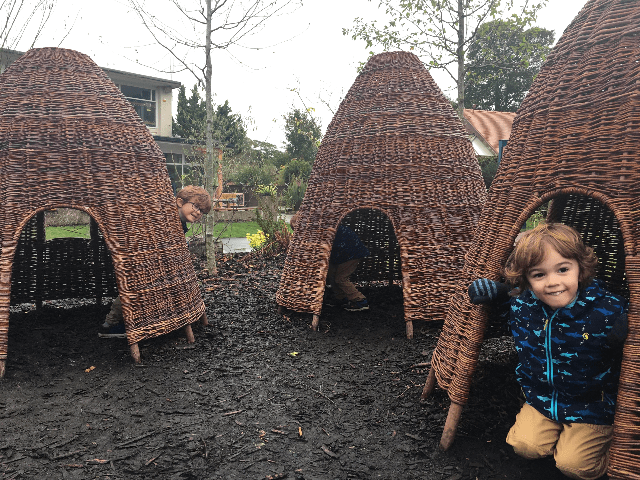 After we’d saved the owls the boys spent ages running round the adventure playground in the rain and could have easily stayed there all afternoon. We visited some more on the animals and I thought it was wonderful how many staff were on hand to tell us about what we were seeing. I love how much they inform you about endangered species – they work in different countries all over the world to help protect animals and their environments. A visit isn’t just a great day out, it also helps to support this work and research. The Enchantment of Chester Zoo is running until the 31st October 2017 and it is free with normal zoo admission – you can book online and save a bit of money on your ticket. 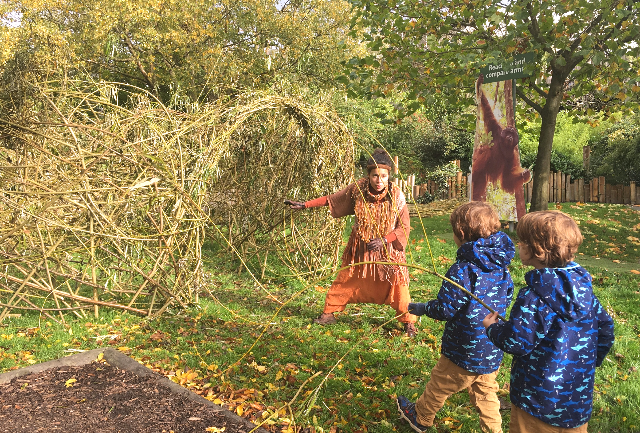 Watch their video to see more about The Enchantment of Chester Zoo – I really would recommend it to anybody, it’s fantastic Halloween fun for this half term! 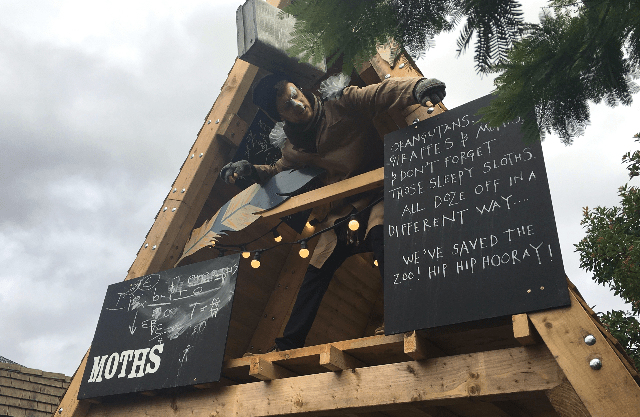 Thank you very much to Chester Zoo for inviting us along to review The Enchantment of Chester Zoo. All words and opinions are always my own. It looks and sounds amazing. I really wanted to go at the weekend but we had too much on with James’ birthday. Happy Birthday James, hope you had a lovely weekend!! It was fantastic – even in the midst of a storm 😉 I’d do it all again even in the rain!